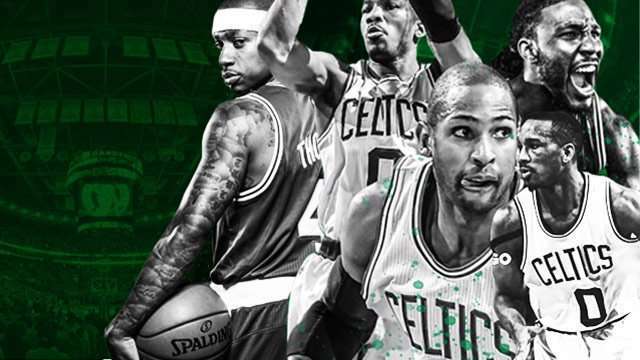 It's all systems go for this year's NBA Eastern Conference Finals, following the Boston Celtics' 115-105 victory over the Washington Wizards in Game 7 of their heated second-round matchup, behind a Larry Bird-esque performance from Kelly Olynyk (26 points, 5 rebounds, and 4 assists). Coming off a draining seven-game series, Brad Stevens and his men will have less than two days to regroup before facing a well-rested Cleveland Cavaliers team that last saw action on May 7. You can't blame fans and pundits of the game for looking forward to part three of the Cavs-Dubs Finals rivalry. While the Celtics had to fight tooth (literally, in the case of Isaiah Thomas) and nail for their first conference finals berth since 2012, the Cavaliers breezed through the first two rounds of the postseason. For the Indiana Pacers, what looked like a tight series gave the squad false hopes and Paul George more reasons to leave. The Toronto Raptors took their elimination much worse—it made the franchise consider a rebuild and Kyle Lowry test the waters of free agency. But while casual viewers can marvel at his brushes with triple-doubles, a closer look at James' eye-popping numbers reveals an alarming trend that coach Tyronn Lue might want to address, STAT. 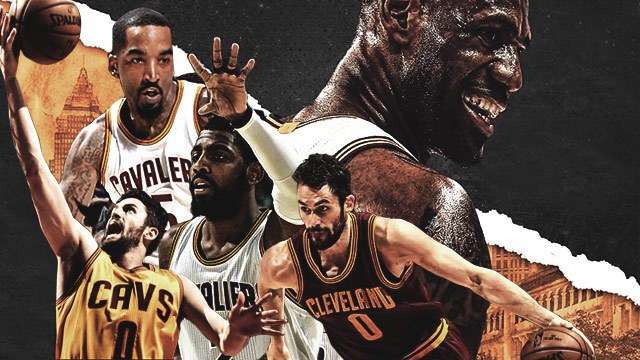 Throughout the course of his team's title defense, the 32-year old has suited up for more minutes than any other Cavalier, at a staggering 42 per game. Not only is James anchoring the starting unit, but he is also stabilizing the play of Cleveland's reserves. Suddenly, those nights-off during the regular season that became a hot topic made perfect sense. In what is perhaps the most stress-free campaign of his heavily scrutinized 14-year career, the basketball legend was supposed to take it easy after fulfilling the promise of a championship to his hometown. Instead, the man whose body has more mileage than Michael Jordan and Bill Russell is pushing himself to unheard-of levels. The problem with him emerging as the Big One, is how his MVP heroics are overshadowing the fact that he is not getting enough help from The Other Two, who were expected to lighten his load. And versus a Celtics team that has a slew of quality defenders, not to mention the genius of coach Stevens, a one-man show even by someone of James' caliber doesn't look too good. Kevin Love is nowhere to be found so far in the postseason, averaging a dismal 13.8 ppg and 9.1 rpg—his subpar performance summed up by a pair of 5-point duds. The Cavs should pray that their All-Star forward rediscovers his regular-season brilliance against the East's No. 1 seed (23.7 ppg and 13 rpg). Opposing center Al Horford will have his hands full against Tristan Thompson, so there is no reason for Love not to feast on the average Boston frontline of Amir Johnson, Tyler Zeller, and Olynyk with his prolific inside and outside game. Speaking of his 2015 antagonist, hopefully a reunion would light a fire under the stretch four. Kyrie Irving ran circles around Indiana's Jeff Teague (25.3 ppg) and Toronto's Kyle Lowry (22.3 and 8.5 apg); the same cannot be said for Celtics' backcourt. Stevens has the luxury of throwing either Avery Bradley, Marcus Smart, or even Terry Rozier in front of Uncle Drew, who normed 25.5 ppg and 6 apg in four meetings with that elite perimeter defense. Even with the midseason acquisitions of Kyle Korver and Deron Williams, Cleveland's bench has always been suspect, especially with its almost one-dimensional assault (three-point shooting). With no assurance that Korver and Channing Frye will light it up from deep every game, the second string must compensate its offensive deficiency with frenetic hustle. As invincible as James seems, history hasn't been too kind to him whenever he has had to carry his team in the NBA Finals. Despite herculean efforts from the four-time MVP, his 2007 Cleveland Cavaliers and 2014 Miami Heat fell to separate adaptations of Pop's San Antonio Spurs and the organic Big Three of Tim Duncan, Tony Parker, and Manu Ginobili. When Love and Irving were out with injuries against the Golden State Warriors two years ago, he made history by becoming the first player to lead both teams in points (35.8), rebounds (13.3), and assists (8.8), but guess what happened? The collective greatness of Stephen Curry, Draymond Green, and Andre Iguodala proved too much for The King, who had to watch his rivals celebrate on their home floor. What if Stevens makes the ultimate gamble of letting James do his thing, while shutting down the rest of the Cavs? Cleveland might be exposed by the same flaw that haunted Boston in the early goings of the postseason, which was over-relying on 'IT Time.' Worst-case scenarios: Irving turns into another JR Smith and Love is reduced to a screener without defense. In case that happens, the defending champs can still get out of the ECF if their leader is able to put up nightly triple-doubles at the expense of several broken spirits. Coach Lue can't afford having his stars stuck in a funk, especially with a greater threat looming on both the other side and the Promised Land.